1. Cook Cornbread Stove Top Stuffing as directed. 2. Cook ground venison in cast iron skillet. Remove from skillet and set aside. 3. Add butter, garlic, squash, zucchini and mushrooms to skillet and cook until vegetables are soft. Add mushroom soup mix, sour cream and ground venison stirring everything together. 4. 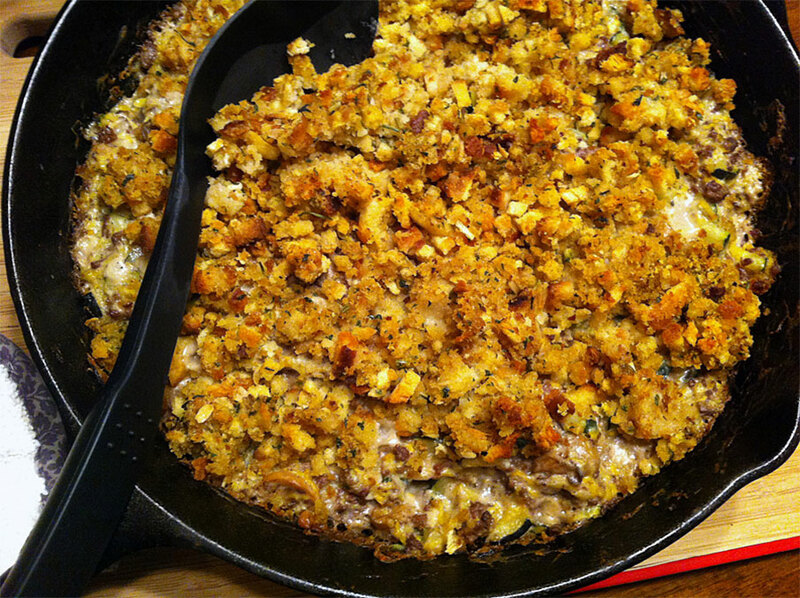 Remove from heat and top with cooked cornbread stuffing. 5. Bake in the oven at 400 degrees for approximately 20-30 minutes. For more venison recipes, please visit NevadaFoodies.com.